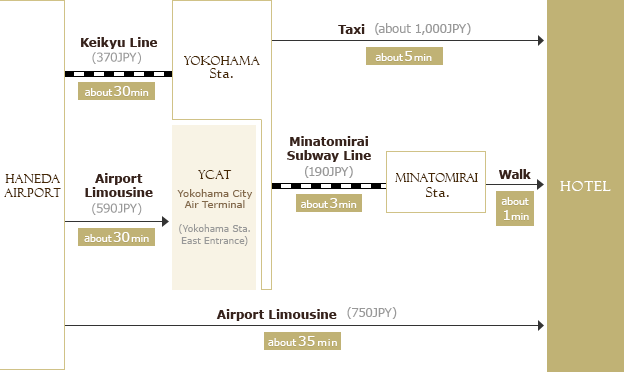 Yokohama is Japan's second-largest city and a popular holiday destination. 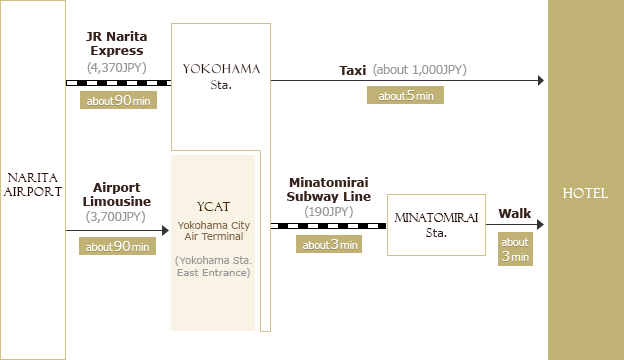 The Hotel is located in the Minato Mirai 21 waterfront area of Yokohama, the international port city located 30km south of Tokyo. It is part of "Queen's Square Yokohama" complex, which includes office towers, a concert hall, department store, shopping center and lush green gardens. *If you are in Japan, add "0" before area code for phone / facsimile. To download a free PDF reader, click here. Hotel guests can enjoy family recreation at Yokohama Cosmo World, an amusement park only a minute's walk from The Yokohama Bay Hotel Tokyu. Savour excellent cuisine in the tasty world of the Orient within Yokohama's Chinatown, one of the world's largest Chinatowns. Also enjoy spectacular views at Landmark Tower Sky Garden, located on the 69th floor of Yokohama Landmark Tower.